Quotations about Anticipating The Future. Quotes to stimulate mind and drive action! Use the words and quote images to feed your brain inspiring things daily! It isn't the great big pleasures that count the most; it's making a great deal out of the little ones--I've discovered the true secret of happiness, Daddy, and that is to live in the now. Not to be for ever regretting the past, or anticipating the future; but to get the most that you can out of this very instant. 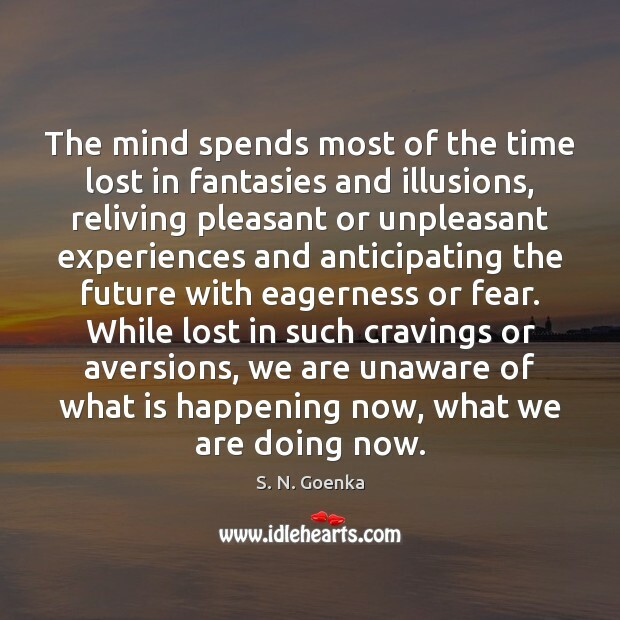 Bliss cannot be found by remembering the past or anticipating the future. Be present. 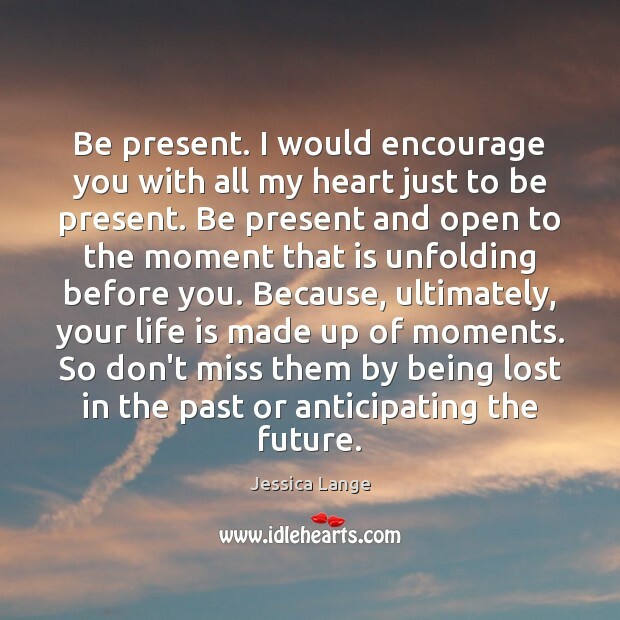 I would encourage you with all my heart just to be present. Be present and open to the moment that is unfolding before you. Because, ultimately, your life is made up of moments. So don't miss them by being lost in the past or anticipating the future. 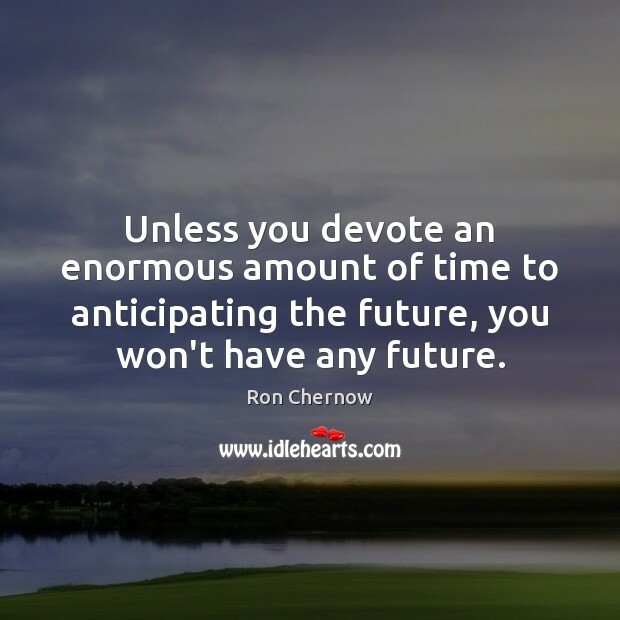 Unless you devote an enormous amount of time to anticipating the future, you won't have any future.